Book now your entry! Take advantage of the fast museum entry thanks to your reservation. Visit the Vatican Museums, the Sistine Chapel, the St. Peter's Basilica and much more without stress! Choose the date and time you prefer and enjoy your visit. Avoid long lines at the museums! Our exclusive online Booking Service allows you to reserve your visit to any of the museums in Rome on the day and time that you prefer. In this way you go to the beginning of the line with your prepaid reservation and have more time to enjoy the museum. Delight in all that the museums have to offer rather than standing in line! Rome "Caput Mundi", home of the Italian history and culture has always been attracted by thousands of visitors from all over the world. Artists such as Michelangelo, Caravaggio, Bernini and Bramante found in Rome the inspiration for their fantastic work, and thanks to their talent, they have helped to make the city one of the most important cultural centers of humanity. Since the early beginnings, the ancient Romans were known for their passion and love for art. They used to collected war trophies, weapons, statues and obelisks from all parts of the known world. The presence of the Papal Venue contributed strongly with the growth of the artistic heritage of the city. In fact, thanks to the strong economical and cultural interest stowed in the art by various popes who succeeded each other, the most important and eclectic artists from Italy and Europe were called to Rome for the creation of unique art works. Heart of Christianity and of the Italian political power is the only city in the world to host within it an entire state. 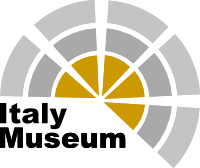 Rome Museum is a website entirely dedicated to the city. Within you will have the opportunity to easily purchase tickets for the most suggestive museums and monuments of Rome. You can choose the date and time that suit you best. Thanks to this reservation you will have a privileged entry without queuing at the museum’s ticket office. The extent of art works held in Rome is unique in the world. Every museum in Rome is a piece of history of the human civilization. The Colosseum, or Flavian Amphitheatre is located in the heart of Rome at the foot of the opium hill, and it is the Italian symbol in the world. It was a recreational site for Roman citizens. It hosted performances of great popular appeal like the fights between gladiators and hunts. The Colosseum ticket includes the entry to the Palatine and the Roman Forum. The Borghese Gallery, located in the public park beloved the most by the Romans, has numerous artistic treasures produced by masters such as Bernini, Raphael, Canova, Titian and Caravaggio. 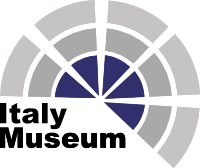 The National Roman Museum, with its four venues: the Crypt Balbi, Palazzo Massimo, the Baths of Dicoleziano and Palazzo Altemps, aims to bring together the main Roman archaeological collections. The Thermae of Caracalla, one of the largest and best preserved spa complex. It was an important meeting and resting place of the ancient Romans. The ticket to the Thermae of Caracalla includes the entrance to the Tomb of Cecilia Metella and to the Quintili's Villa. The Vatican Museums, discover one of the most important museums in the world, houses masterpieces since the Egyptian period until the late Renaissance. The Sistine Chapel, a majestic and unique work of art was painted by Michelangelo, Botticelli and Perugino. The St. Peter's Basilica is the symbol of Christianity and the largest papal basilica of Rome. The Vatican Gardens keep a collection of plants and flowers from all over the world. The Gardens are the Pope's place to walk and meditatea. After choosing the museum, choose the date and time of your preference. The reservation will be completed after entering your personal data. You will immediately receive an email confirming your reservation request and subsequently you will receive the Voucher, this is the only document required and recognized to enter the museum. Temporary exhibitions will be organized inside the museums to enrich your visit; for more information, please look the exhibition calendar on the dedicated page.